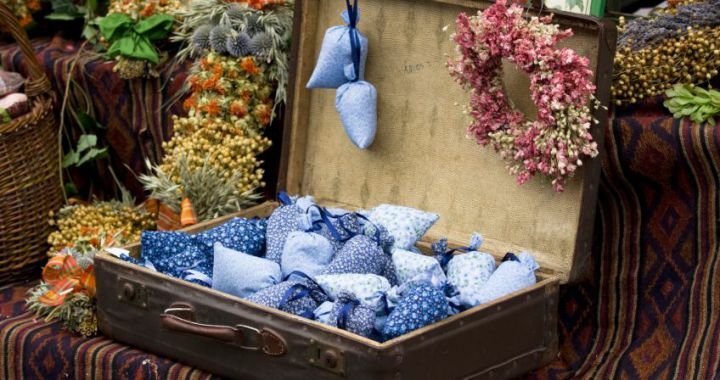 You will need small cotton bags (the kind with drawstrings work best), an essential oil and some herbs and spices. The nice thing about this recipe is that you can change it according to what you like best or what you have on hand. 1. Mix well and then fill each of your cotton bags with a few tablespoons of the mixture. Store the filled bags in a glass jar with a tight fitting lid. Visit The Herb Companion for more info. Posted in Aromatics and tagged fragrance, herbs, home made.